Starting this Sunday, May 31st, we will be going down to the San Juan Capistrano train station every Sunday after SCCA's last service. We will spend about an hour preaching the gospel, witnessing, passing out tracts, singing, reading the bible in the open air, sharing testimonies, and generally just loving the lost. So, please join us at the train station and see what the Lord is going to do! Email me at Jeff@LoveTheLost.org if you have any questions, or to let me know that you would like to join us. Prayer warriors are encouraged to come... just come and pray while we're there! This will be a huge encouragement. Singers are encouraged to come... I will be bringing my guitar and will sing some songs of praise and thanksgiving to gather a crowd before preaching the gospel. So come and sing! Please also pray for this outreach and that the Lord would use us to reach the lost. Please pray that God's word and the preaching of the gospel will bring people to repentance and faith in Jesus. Pray for boldness of those who come to take part in the outreach. Pray that those who come to witness, preach, give testimony, sing, pray, pass out tracts, etc, would be sensitive to the leading of the Holy Spirit. Pray for God to raise up laborers for the fields are white for harvest. Pray for the protection of the team. 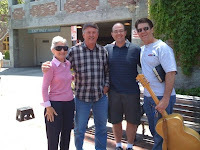 Pray that God would give us favor with the city of SJC and that they would not try to stop us from preaching and witnessing at the train station. Pray that the Holy Spirit will fall on SJC and that God would draw people to hear the preaching of the gospel. Click here to see what we did last weekend at the train station. On Saturday, May 23, 2009, I was joined by my wife and kids and Pat, Ron, and Duff from SCCA. I read the sermon on the mount and then preached the gospel. Pastor Duff then sang several songs while we passed out tracts and witnessed to those who just heard the preaching. It was a glorious morning and one young man told me he was going to repent and pray to God that day to forgive him of his sins and to receive Jesus as his Lord and Saviour! Glory to God!! Below are some video clips of the reading, preaching, and singing. The first clip contains the reading, the second finishes the reading and contains the preaching. The third clip contains Duff singing. I will be going down to the SJC train station regularily every Sunday after SCCA's service if you would like to join me. Just show up, or email me at Jeff@LoveTheLost.org if you need directions or have any questions. 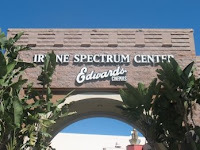 Last night was another great night of witnessing at the Irvine Spectrum. We first spoke with a young Christian couple who had a solid understanding of the gospel. Next we spoke with a lady who professed to be a Christian but thought she would get to heaven because she does her best here on earth. We explained that if a person has broken God's law then they are a lawbreaker and would be deserving of hell and not heaven. We then explained that Jesus' sacrifice on the cross was the payment of our fine for breaking God's law and that to be saved one must repent from their sin and trust in Jesus alone. At the end of our conversation she shared that her roommate has been showing interest in the kabbalah religion and that she wanted to reach out to her. We have her a couple of gospel tracts and a New Testament bible to give to her. The last conversation of the evening was with a man who works at a mormon temple. He was very open to talk about his beliefs and Mark and I learned a lot about mormonism. We presented the law and the gospel and stressed the fact that Jesus is the way, the truth, and the life and that no man comes to the Father but through Him. We also stressed that our righteous deeds are as filthy rags and that good works cannot gain us favor and that any "good deed" that we try to do to add to what Jesus has already done would be an insult to God. One chilling part of our conversation was when the man told us that he had put a call into a Christian pastor and didn't get a call back. Two mormon missionaries knocked on his door and he decided that he would become a mormon. This really hit me... this man was open to the things of God and the mormon church got to him first. What if the pastor had returned his call? What if Christians had knocked on his door first? There are people out there just like this man who just need a bold Christian to approach them and communicate the gospel to them in a biblically sound way. Luke 10:2 Then He said to them, "The harvest truly is great, but the laborers are few; therefore pray the Lord of the harvest to send out laborers into His harvest. 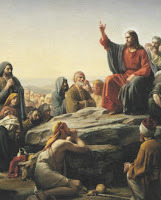 Tony Miano has issued another evangelistic challenge titled "Sermon On The Mount Saturday". I plan on participating in this by reading the Sermon On The Mount at the San Juan Capistrano train station this coming Saturday. If you would like to join me, please let me know - Jeff@LoveTheLost.org. If you are unable to join me then please pray for me and for those who will hear God's word read aloud followed by the preaching of the gospel. Matthew 5-7 is commonly referred to as the "Sermon on the Mount." It is the greatest sermon ever preached in the open-air--preached by the greatest Preacher who ever walked the face of the earth--Jesus Christ. 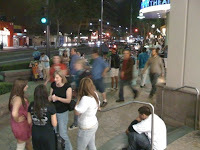 Find a public place in your community (street corner, sidewalk, public park, etc). Stand atop a box or other sturdy object. And read the Sermon on the Mount (Matthew 5-7) aloud, in the open air. Depending on how fast you read, it will take you 10-15 minutes to read the Sermon on the Mount, aloud. You have more than a week to pray and pick a location(s) in your community. "Mission Good Friday" was our first effort of this kind. More than 170 people from all over the world joined in reading Matthew 26-28 in the open air. Some simply read the text. Others read the text and used it as a springboard to open-air preach. Please join us in bringing the Word of God and the Gospel of Jesus Christ to the world. In Any Public Place; In Your Community; In Your Part of the World. The Ambassador's Academy was the experience of a lifetime! 50 evangelists from all across the US and Canada came together for four days of evangelism training. The fellowship was instant which made it feel as if you were among life long friends. Hitting the streets together to preach the gospel was a very powerful experience. You could tell by the looks on the faces of those who were listening to the preaching that we were making a huge impact on them for the gospel. Many at the academy preached in the open air for the fist time in their lives. Many were even open air skeptics before the Academy but could not ignore the looks on the hearers faces. It was plain to see that God was using the proclamation of His word to save the lost. What a privilege to be used by the King of Kings and Lord of Lords to bring His message of salvation to a lost and dying people! Thank you once again for all the prayers. Your support was, and continues to be, an encouragement. "The Academy will be four days of intensive and fast-paced training and street evangelism under the teaching and leadership of members of the Living Waters staff. Participants will also receive encouragement from and opportunities to interact with Ray Comfort and Kirk Cameron. Additionally, participants will also receive personalized mentoring from some of the most experienced evangelists and open-air preachers, from around the United States. Possible evangelism locations include: Huntington Beach, Venice Beach, Hollywood Blvd, Long Beach, Burbank, Glendale and others." Please pray for me! The academy starts Wednesday night and ends Saturday night.